Ants, Spiders, Mice, Bed Bugs, Bats and more are no match for EnviroPest. With over 50 years of pest control and wildlife removal experience for Loveland, Fort Collins, Windsor, Greeley, and all of Northern Colorado, we handle all pest problems. We're fully licensed, insured and bonded to treat homes as well as commercial and heavily populated areas including hospitals, schools, and food environments. Check out our reviews and see why EnviroPest is Colorado's Cure for Creepy Crawly Things! Excellent and Professional Service. Spider issues seem to be gone. Great to work with, Thank You. Quick reliable service with immediate results. Happy with service, but too many emails! Thank you for your excellent and thorough service! Always on time and they are very thorough. Great team and great service! Thanks for all you do for us! Great customer service, friendly and knowledgeable technicians. Would highly recommend!! Very professional and friendly technicians. I highly recommend. Happy with the service. Billy is always thorough and explains things well. Excellent service with excellent people. We appreciate the professional service! They arrive when they say they are going to and the service is very good. No pest problems at all including mice! Your technician is friendly and helpful. Enviropest does a great job. Your guys do A great job at our company Columbine health systems, thank you. 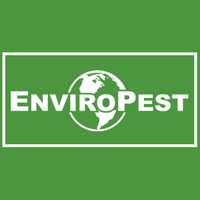 EnviroPest's service people, Casey and Victor, have been very capable and reliable. Service has been great. Very thorough! Great follow up and attention to my needs. Casey does an awesome job and answers any and all questions we’ve had! Would highly recommend! Always friendly. Thank you for being thorough and willing to check in with us as when you stop in. We had a carpenter ant problem that they took care of. We signed up for them to come out quarterly and have been thrilled to see the spiders in our house disappear too. Seth is amazing -very thorough and knowledgible ! Great company and great people. Marcos does a fantastic job for us and is always willing to go the extra mile. Super nice tech's and office staff. Always listen and solve the pest problem of the month. Billy is always helpful and very professional. Seems to work exceptionally well. Very Happy with your service as always. Zac does a great job. He is very personable and professional. Our service tech Billy is fantastic! He's thorough, communicates what gets done and he sees as far as control or barriers that we can remove to get better control. He is very flexible and willing to address any new issue that arises between visits (like the 8 tiny reindeer from Christmas eve that turned out to be a mouse or two that found their way into our attic!). Very pleased with our service plan,a customer since 2014! Any problems are taken care of. Hello, I am so pleased with all the staff at Enviropest! Seth is a wonderful person and very nice to work with, he does not complain when i go with him to the apartments, i learn so much and what to look for when i tag along with Seth. I hope that is okay! Enviropest has wonderful people!